Published: August 1, 2014 11:45 am Updated: Aug. 2, 2014 9:32 p.m.
Singer and actor Alex Boye released a new music video Friday morning promoting the film "Saints and Soldiers: The Void." Boye, who plays the role of Perry in the film, performs an Africanized version of the Irish tune "Danny Boy" in his latest music video. Boye explained in the video description that the song "Danny Boy" is sung in the film, and a director suggested Boye create his own version as a music video. "Those who know me well will know I jump at a chance to put an African twist on any song!" Boye wrote in the video description. "I did feel at first that doing this version would be a little out of place as the movie is set in WWII, but because I play an African-American soldier in the movie, I felt it would (be) a nice nod to his African roots, and those of the other black soldiers in the movie." 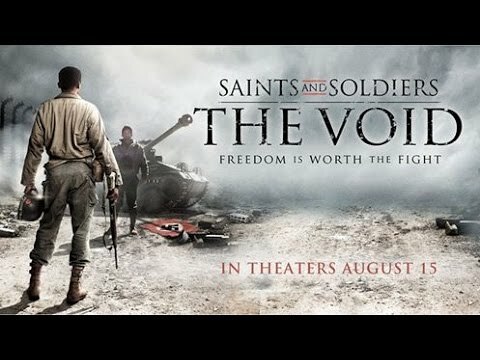 "Saints and Soldiers: The Void," the third film in the Saints and Soldiers series, will be released in theaters on Friday, Aug. 15.